The Sock Boot, The Midi Boot, The Tight Shaft Boot – whatever you call it, you need this boot! 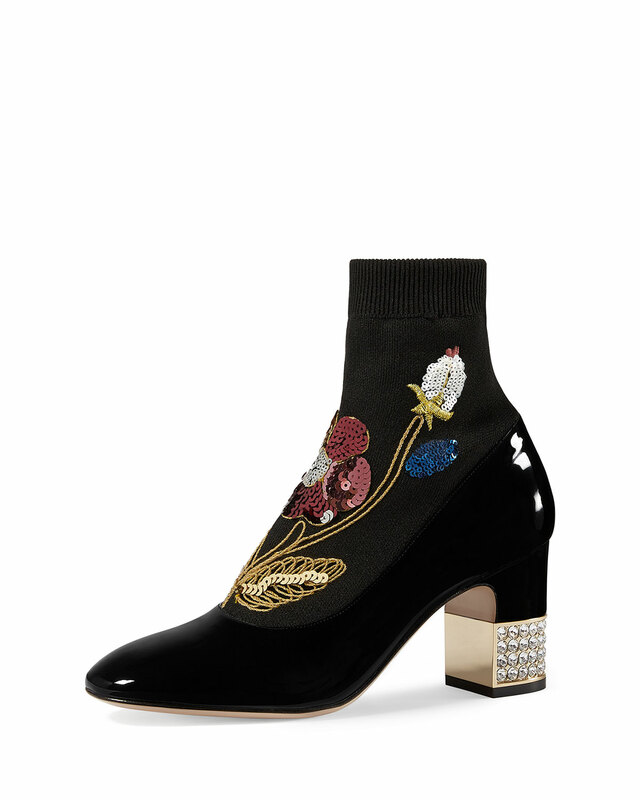 What kind of footwear goes with the new cropped pant style that is everywhere this season? It’s a question I’m getting asked again and again. And, not just by clients, but by ladies working in retail and totally fashion forward friends. Because you know what? It’s hard to figure out! Especially if you live in a climate where temps drop and snow is a fallin’. If the weather is temperate, you can always pair cropped styles with a pointy toe pump and kill it. BUT, what is a girl in the CLE (or another snowbelt, cold weather city) to do?!? The answer, my friends, is the sock boot or midi boot, or tight shaft boot! And, I’m sure you’re saying “what the h*ll are these?” Right?!? Basically, it’s a bootie that’s skintight, like a sock, get it! It’s made of a stretchy material like velvet, suede, leather or scuba and they generally go up to mid shin but can go all the way up to the knee. The reason I love this look – it creates a contentious visual line by going up under the crop AND it lengthens your leg by squeezing your ankles – other boots when paired with cropped pants or skirts can make you look squat and cankle-ish and who wants that? Note: Updated this post with Fall ’17 in stock booties because the original links ALL SOLD OUT!! Updating AGAIN in Fall’18 because the boot is still totally on point and you need new links! 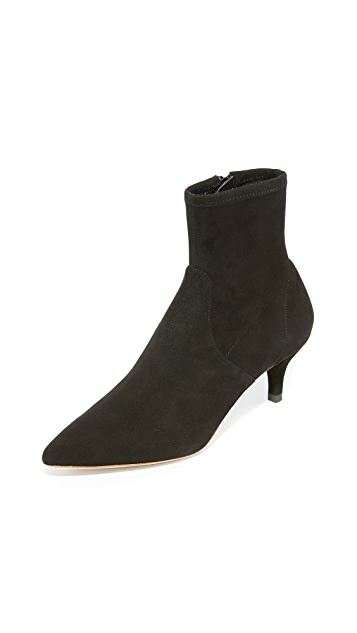 A sock boot with a block heel so you can walk all day long and not teeter. 2. Dying over these. LOVE! 4. Great shape, and by one of my favorite shoe brands – extremely comfortable – and a kitten heel too boot (pun intended)! 5. This pair is pricey but makes a statement! Shoe goals?!? 6. Silver and so flippin’ cool…btw, they come in gold too. 7. That heel is EVERYTHING! And here’s a less $$ version. 8. This pair is VERY comfortable and versatile too. It’s more of an investment but on a cost per wear basis totally worth it. And it comes in a bunch of colors. Happy crop pant wearing! And Sock Boot shopping! Received this great tip from a reader today… Thanks Amie L. Appling! Love Love Love the blog!!! The topic of “The new boots style you need to add…” is one of my new favorite styles. I saw it on a gal while I was in Florida! No where to be found!!! I ended up buying petite jeans in straight and baby boot ON THE SALE RACK AT NORSTROM!!! Im 5’7″ and the petite fell short enough to make it work. Just a little cost savings tip I thought I would share….as I am always on the hunt for a bargain!